These huge, torpedo-shaped predators have prowled Earth’s oceans for over 100 million years. Great whites can sense tiny amounts of blood in the water from up to three miles away – and have over 300 teeth to chomp up their hapless prey with! Hammerheads swim in tropical waters, looking to pin stingrays against the rocks with their wide heads. Tiger sharks, with their ferocious-looking stripes, can grow up to 25 feet long. 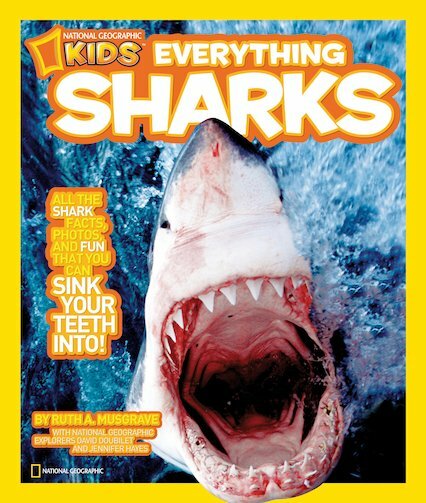 Packed with facts and National Geographic’s world-famous colour photos, this book lets you dive into the watery world of sharks and see what you can spot beneath the surface!